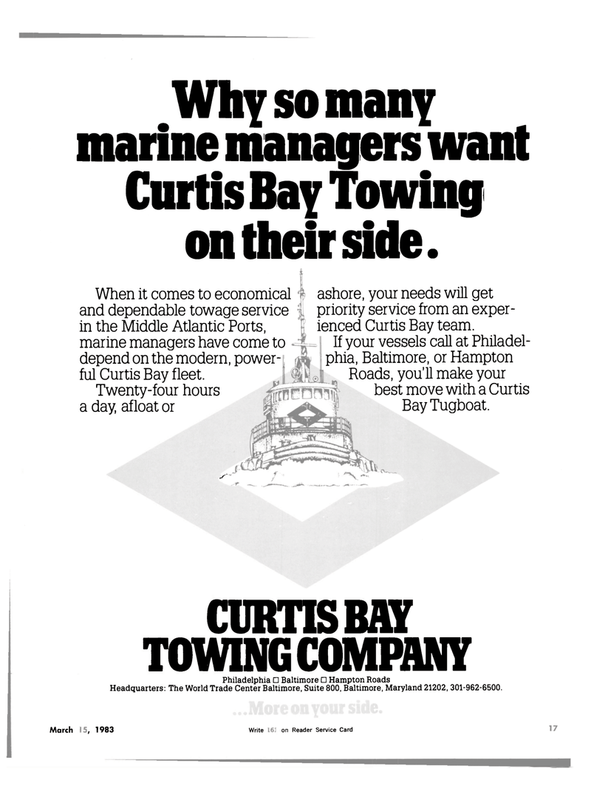 Curtis Bay Towing on their side. When it comes to economical and dependable towage service in the Middle Atlantic Ports, marine managers have come to depend on the modern, power- ful Curtis Bay fleet. Twenty-four hours a day, afloat or ashore, your needs will get priority service from an exper- ienced Curtis Bay team. Headquarters: The World Trade Center Baltimore, Suite 800, Baltimore, Maryland 21202, 301-962-6500.